Today, there is great work happening in villages at grass-root level, where structures are being put into place. 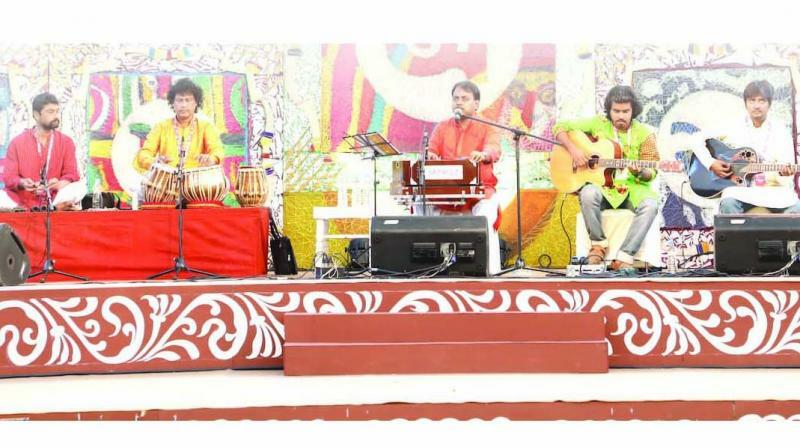 Arth, the annual culture fest has always aimed at finding meanings of the Indian civilisation and discover its soul. The three-day mega cultural festival was organised in Delhi to celebrate the essence of "Indic thought and philosophy". The festival lays its focus on literature, culture, society, music, traditions, history and art. The national leg of the festival is being held in Delhi from 8-10 February. Smaller satellite shows will be hosted in Kolkata and Pune in December and January respectively. The topics for others sessions were 'Are Bhakti and and the arts mutually exclusive in India', 'History as the new battleground', 'The 3 Ts of tradition: Temples, textiles, travel', 'Devabhasha: Sansique the language of the gods', 'The importance of interfaith dialogues', 'Clear are the paths of India: Cultural and political encounters of Indian and Jews', among others. It was carefully designed keeping in mind the current socio political situation of the nation. The second day saw some really hard-hitting panel-discussions and talks by the most prominent speakers in India on burning topics. Day two saw discussions on topics like 'Activism via the Arts: Legitimate or Opportunistic? ', 'Demystifying Tantra', 'Jaat Na Poocho Sadhu Ki: The Scourge of Caste', Feminism and Tradition: Compatible or at Odds? ', 'Alternative Narratives of India's Freedom Struggle', 'Ayodhya & Sabarimala: Where Faith Intersects the Law'. There was a conversation with BJP leader Subramaniam Swamy and an address by journalist Arnab Goswami along with a performance by Bombay Bairaag. Union textiles minister Smriti Irani felt, “As a movement that began in the 1800s for political rights, you seek to see from the prism of tradition, religion and faith and that is where the dichotomy stems from. It also depends from which prism you look at the tradition. Our traditions warn us that the capacity to nurture, protect and fulfil all the vows is that of a woman so there is not greater celebration about the potential and capacity of a woman than we find in Indian traditions and text. Another panel - Great Minds from Bengal: Tagore, Swami Vivekananda, Sri Aurbindo was anchored by Hindol Sengupta and Sounak Chattopadhyay. The audience was addressed by Arnab Goswami. It was to connect with the ongoing panel discussion on Feminism and Tradition by Smriti Irani, Raveena Tandon, Lavanya Vemsani. The Epic Saga: Mahabharata, the Tale of Human Nature was anchored by Nilesh Oak & Vishwa Adluri. According to Bollywood actress Raveena Tandon, women are standing on their own feet, pursuing whatever they want and are getting equal job opportunities. But there is a lot more to do in that aspect. The panel discussion was followed by some engaging and learning masterclass - Sanjhi paper cutting of Uttar Pradesh, Kangra Miniature of Himachal Pradesh, pottery from Rajasthan, Chittara Painting from Karnataka. The evening was followed by a Pandavani performance by the award winning personality, Teejan Bai, in which she enacted tales from the Mahabharata, with musical accompaniments and enthralled the audience.